First Pics Of Sonam’s Wedding Are Out. She Looks Damn Beautiful ,. Sonam Kapoor is all over social media today. Her big fat Punjabi wedding is the talk of the town. 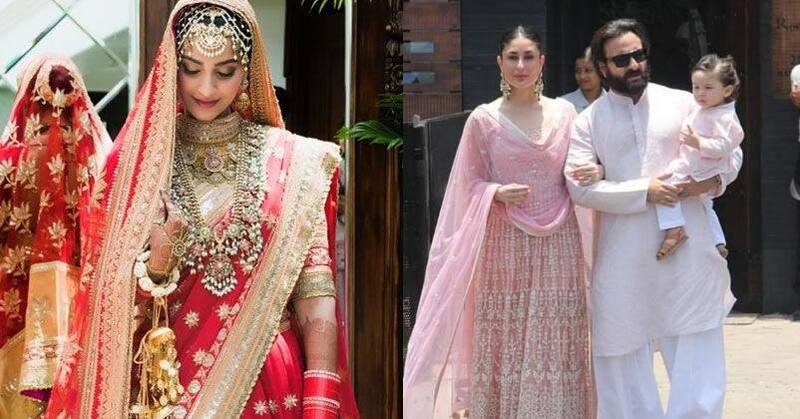 most of Bollywood celebs attended her Mehendi and Sangeet ceremonies and pics had gone viral. Finally, she tied the knot with Anand Ahuja today and I am sure you all are waiting for her gorgeous pics. Her wedding ceremony was not that grand and was attended by close friends and family members. The wedding took place at a Gurudwara at Khar as per sikh rituals. Few celebs attended her wedding ceremony and the first pics are out. Sonam Kapoor made a surreal bride in her bright red wedding lehenga. She paired the lehenga with heavy kundan necklaces, which added to her beauty. We loved her 100 percent traditional bridal avatar. First look of the stunning @sonamkapoor wedding day! Can't wait to see all the pictures throughout today!